We couldn’t help but be inspired by and share the story of our ‘Posing Pets’ competition this month. 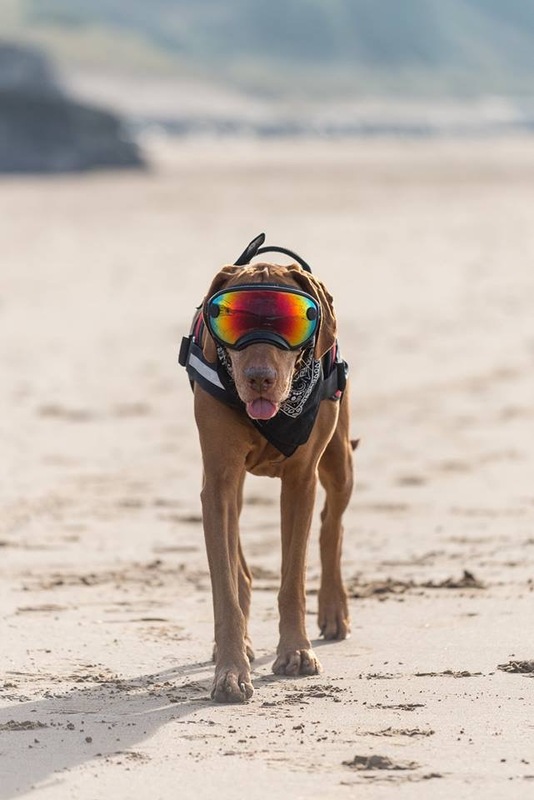 Bailey’s goggles are designed specifically for dogs, they are used frequently by working and military dogs in the US and help to protect his eyes from scratches when he’s out and about. Bailey is our Pet’s Corner ‘Posing Pets’ winner this month. He is a nine-year-old Hungarian Vizsla who very suddenly and very sadly went blind suddenly over Christmas 2018 due to a rare disease called Sudden Acquired Retinal Degenerative Syndrome (SARDS). Bailey has enjoyed fame in his younger days, attracting national and international attention for his love of surfing! 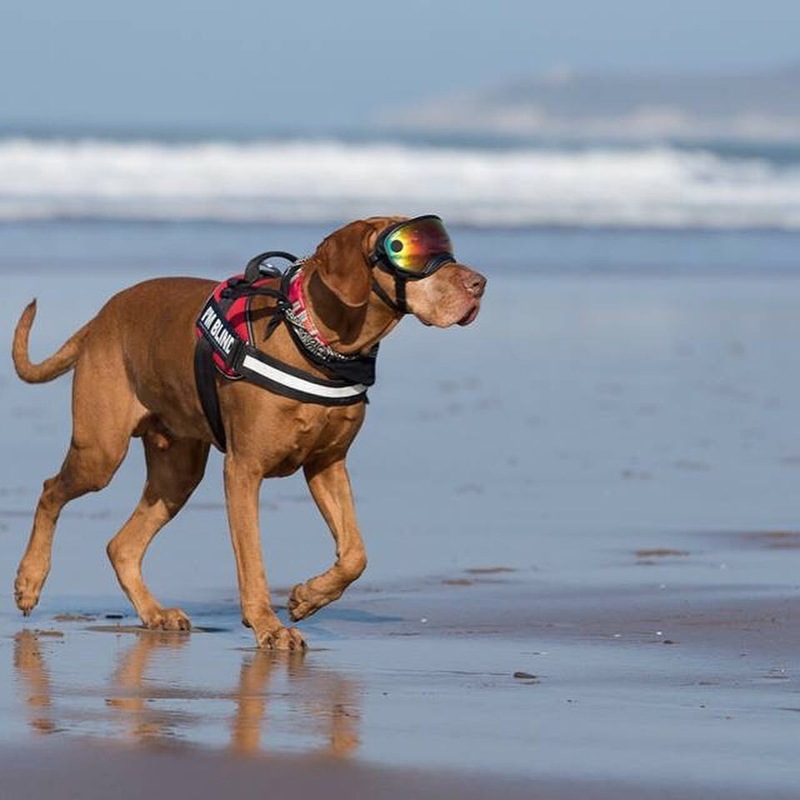 His owner reports that he is still at his happiest and most free whilst at the beach, although these days wears a harness to help members of the public be aware of his condition, and to help him be guided if necessary. He also sports a pair of special canine goggles to protect his eyes from bushes, brambles sticks and beach grasses whilst on his adventures. The goggles are from an American company and used frequently in the US for military and service dogs. Bailey is still seen regularly around the beaches of North Devon and loves to say hi so if you see him and his sister Amber, don’t be afraid to say hello!